The Missouri Higher Education Loan Authority, MOHELA, is a student loan servicer with more than 30 years of experience helping students and their families manage their college loans. As one of the ten largest student loan servicers in the country, MOHELA has built their reputation by offering convenient loan management services for student borrowers across the country. Beginning in 1981, MOHELA partnered with the U.S. Department of Education to administer the government’s Federal Family Education Loan Program (FFELP). This popular student loan program provided financial assistance to millions of students over the years, and MOHELA was a large part of that success. When the FFELP loan program was retired, MOHELA retained their partnership with the Federal government, and continues to act as a loan servicer for the Federal Direct Student Loan Program, the Perkins Loan Program, and the Federal Direct PLUS Loan Programs. Over the years, MOHELA’s experienceservicing Federal student loans has brought them to the attention of many private lending institutions. 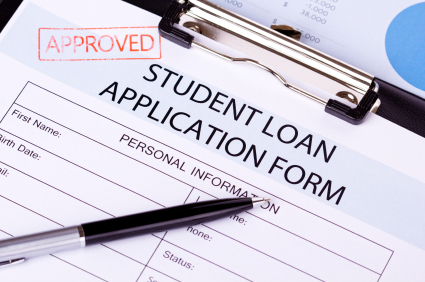 Today, MOHELA partners with a number of private lenders to administer and manage their student loan packages. More recently, MOHELA has ventured directly into the financial aid arena, offering more than $300 million in loan forgiveness programs and forming the Missouri Scholarship Foundation. MOHELA also allows their clients to opt for paperless billing services, making it easier for students manage their outstanding education loans online. MOHELA also offers discounts and interest rate reductions under their Public Service Reward Program for police officers, firemen, teachers and nurses. Students who have qualified for a Federal loan may choose MOHELA as their loan servicer to manage every aspect of their Federal loan from disbursement to final discharge. MOHELA also acts as a servicer for many private, or alternative, loans. Many private lenders do not have the infrastructure to successfully manage the large number of student loans they underwrite each year. Consequently, they turn to loan management services like MOHELA to handle the administration of their student loans. Again, students with private education loans can choose MOHELA as their loan servicer to manage their college loans from initial disbursement to final discharge. Recent graduates often find themselves laboring under the burden of their extensive college debt. MOHELA offers their registered clients a loan consolidation program designed to help students reduce their monthly payments by consolidating all of their outstanding education loans into one, more manageable, loan package. Loan consolidation offers relief for many graduates with multiple outstanding student loans. However, loan consolidation should be carefully considered. While it does offer immediate financial relief, there can be unforeseen consequences. Loan consolidation greatly extends the life of a student’s outstanding college loans, and while monthly payments are reduced the overall cost of the student’s loans is greatly increased. Like all loans for college, consolidation loans should be carefully considered, and students should weigh the immediate financial relief against the extended financial responsibility. The Missouri Higher Education Loan Authority is one of the premier student loan management services in the country. Their 30 plus years of experience makes it possible for them to offer state of the art services designed to ease the financial burden of paying for college for students in Missouri and around the country.